“Keola Beamer’s [slack key] style is the best there is on the planet”, says Willie Nelson. 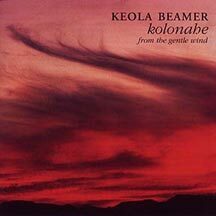 Keola Beamer has breathed new life into slack key guitar music yet stays true to its deep Hawaiian roots. He is a Hawaiian legend: singer-songwriter, composer, guitar master, with an impeccable, gorgeous style that is featured on The Descendants soundtrack and his 17 CDs. Keola was one of the first to use Hawaiian slack key techniques to create contemporary music that is also at home on jazz or classical stages. His wife Moanalani Beamer joins Keola in performances with her beautiful hula and the exquisite sounds of traditional Hawaiian instruments. 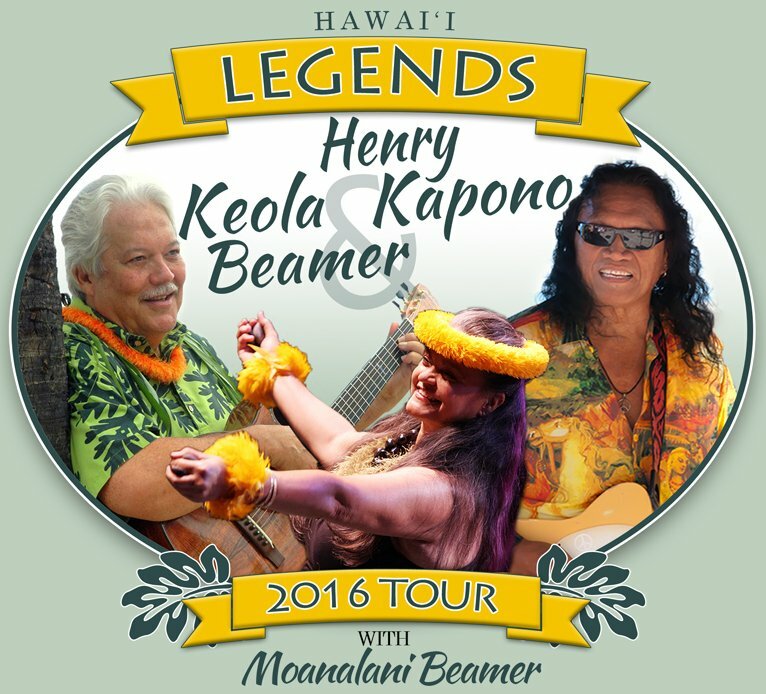 Keola Beamerʻs well of talent springs from five generations of Hawaiʻi's most illustrious and beloved musical families. Keola's mother was revered Hawaiian cultural treasure, Aunty Nona Beamer. His great-grandmother was one of Hawaiʻi's most illustrious composers, Helen Desha Beamer. The Beamers trace their roots to royal families of the 14th century and have been cultural practitioners through generations. Keola established himself early as a leader of the wave of contemporary Hawaiian music when he wrote the classic Honolulu City Lights - which is still one of the absolute all-time best selling recordings in the history of Hawaiian Music. Keola was also the author of the very first written instruction book for the Hawaiian Slack Key Guitar, published in 1972. Please note that with Keola's supervision and direction, this site contains the best learning center and resources available for the Slack Key Guitar. Please see the menu on the upper right corner to begin your exploration. New material is added by Keola on a regular basis, so please feel free to check in as often as you would like. Keola is a world-renowned Native Hawaiian Musician, Hawaii Academy of Recording Arts Lifetime Achievement Award Recipient, Multiple Grammy Award Nominee, Multiple Na Hoku Na Hanohano Award Winner (Hawaiian Grammys) Native Arts and Culture Foundation Fellow. He is an Award Winning Author and Artistic Director of The Mohala Hou Foundation, which presents Aloha Music Camp. 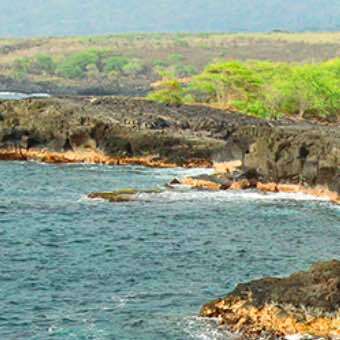 In January of 2018 Keola was appointed Board Chair of Aloha Kuamoʻo ʻĀina, a 501c3 non-profit formed for the protection and preservation of the Kuamoʻo Battlefield and Burial Grounds in Kona, Hawaii. You will find information here on all of Keola's releases, his Aloha Music Camp, online lessons, tablature, instructional books & DVDs, humor, bio, family history, and much more. We had such a wonderful time at Aloha Music Camp! Our programs worked exceptionally well. 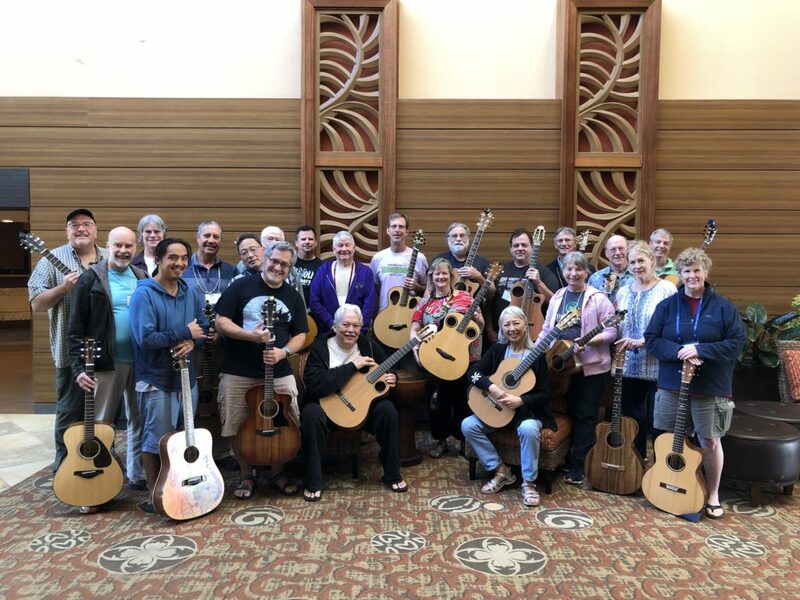 I had an awesome Advanced Slack Key Guitar Class with so many great players, all of them playing with both sensitivity and aloha. Together, we learned a lot and had a great deal of fun. The week absolutely flew by. I'm going to miss these Haumana. I am so looking forward to our upcoming Aloha Music Camp - March 3 - 9 on the beautiful Island of Kaua'i at the Mariott Coconut Beach Resort. This is our 18th year of operation. (I've lost track of how many camps we've actually conducted over that period of time!) 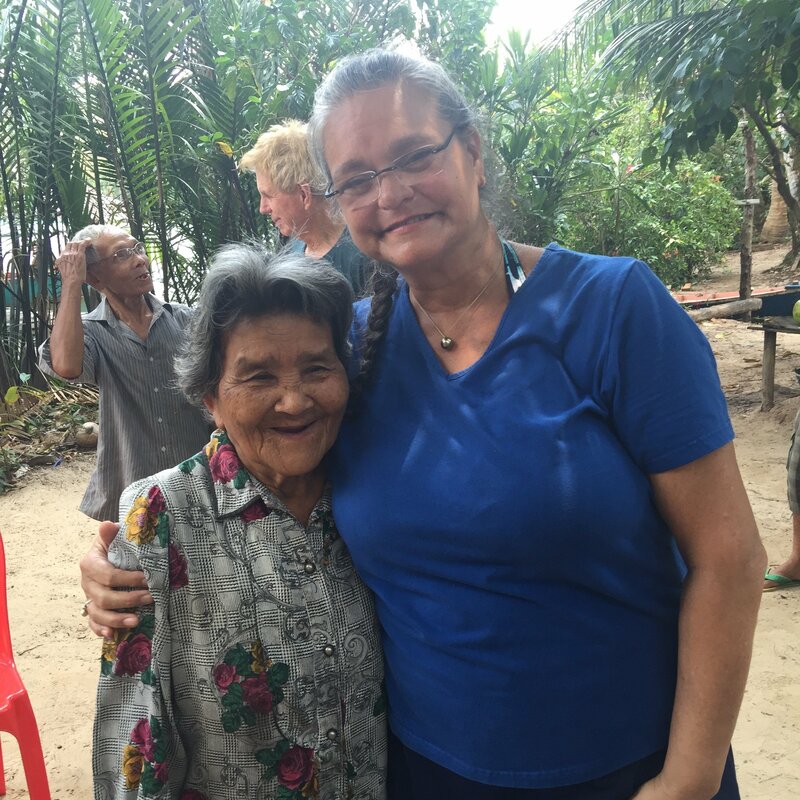 Recently I've been designing lesson plans and speaking with our Kumu. It's fun checking in with 'Ohana and getting up to speed with our operations. I am so grateful for the efforts of our Staff and Board Of Directors who somehow excel in their duties year after year. It just keeps getting better! We had a wonderful time on tour and I really enjoyed the venues we performed at. Moana and I love Maui, so no matter where we are in the world, its always a blessing to return home. 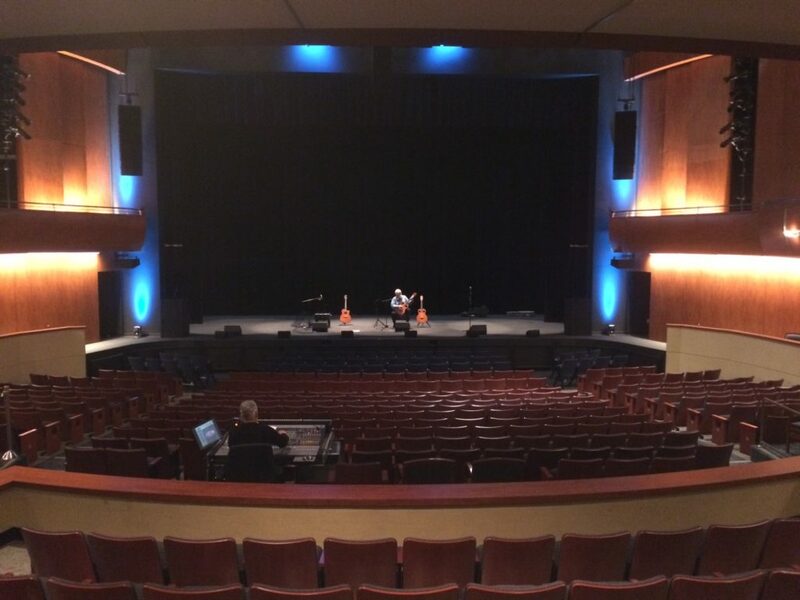 Here is a photo of sound check at one of my most favorite venues - The Harris Center For The Arts in Folsom, CA. My hanai son, Jeff Peterson took this photo. Jeff was with us on this tour and played beautifully. What an exceptional talent he is! I’m really looking forward to touring this month with one of the finest guitarists on the planet - Jeff Peterson. Jeff, myself and my beautiful Kumu Hula wife Moanalani will be at the following venues this month. Come by and say aloha! Its been a truly interesting month! We had two major concerts cancelled because of Hurricane /Tropical Storm Lane’s arrival in Hawai’i. 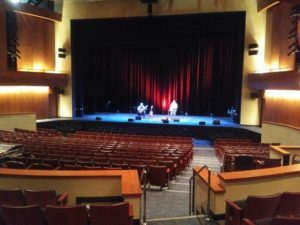 Eventually shows with Henry Kapono and Friends were re-scheduled at the Tom Moffatt - Waikiki Shell and again at The Maui Arts And Cultural Center Amphitheater on my home Island of Maui. It was great fun working with musical artists that I have known and loved through the years, and a joy to be included in such great company. 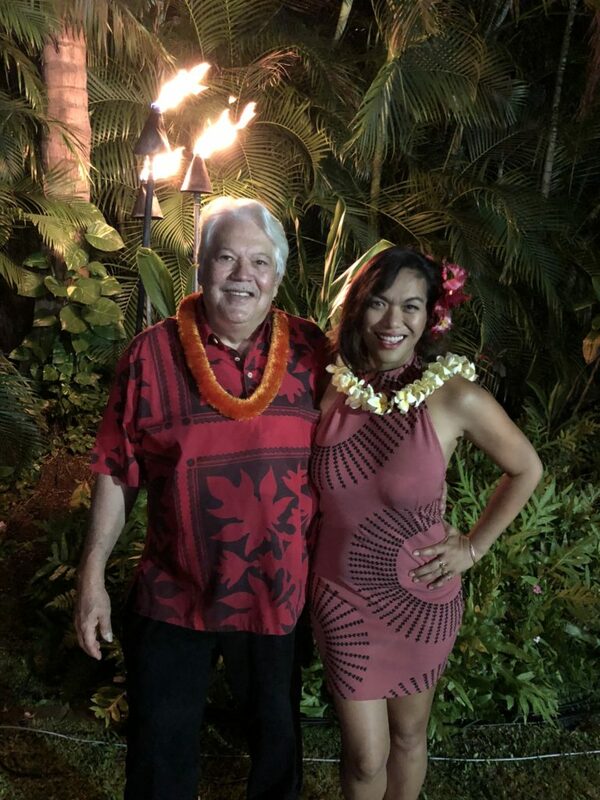 On the night of September 22nd, 2018 Henry Kapono, myself and my sweet wife - Moana then did a benefit for the Institute for Human Services 40th Anniversary Celebration held on the Hilton Hawaiian Village Great Lawn in Waikiki. 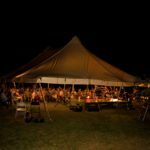 Many of IHS contributors were there that evening sharing their aloha and mana’o on the best ways to support Hawai’i’s homeless population. I have just returned from Pa’aoao Bay, Captain Cook, Hawai’i where I chaired a board meeting for our 501c3 - Aloha Kuamo’o Aina. Participants from left to right were myself, Dr. Kamanamaikalani Beamer -University of Hawaii, Manoa (Executive Director), Neil Kaho’okele Hannahs - CEO Ho’okele Strategies and Dr. Jonathan Kay Kamakawiwoʻole Osorio, Dean of Hawaiʻinuiākea School of Hawaiian Knowledge. It is an accomplished and experienced board with strong ties to community. It was wonderful to be with old friends and fellow Kamehameha Schools graduates as we worked to protect and preserve the Kuamo’o Battlefield and Burial Grounds. This wahi pana (sacred place) is revered in the hearts of Hawai’i’s people. 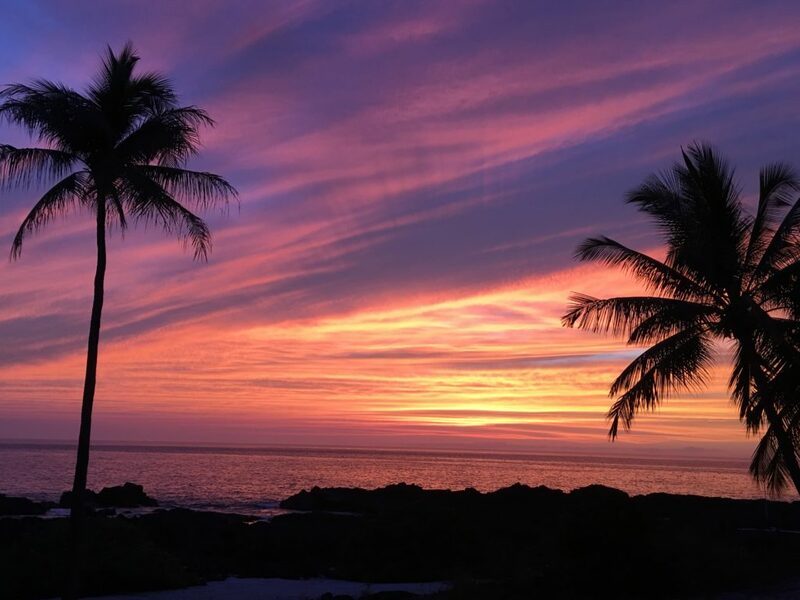 With Hurricane Hector passing south of Hawai’i Island that night (8/9/18), the skies were aglow with the promise of the future. Hawaii’s people revere the Fire Goddess Pele. She is resplendent in our art and literature. Tutu Pele goes where she wants to go and nothing can stop her. I am filled with aloha for our extended ‘ohana on Hawaii Island who have lost their houses to the recent eruptions. As of this date, about 700 homes have been destroyed. The impact on our Island community has been devastating, with no end in sight. Because they were built in lava zones, most of those structures were not insured and many of our now homeless people are retired and on a fixed income. Can you imagine what it must be like to loose everything so late in life? Where does one even begin to rebuild? Where does one even start? Its a very difficult situation for our families. Won’t you join me in making a contribution to help? 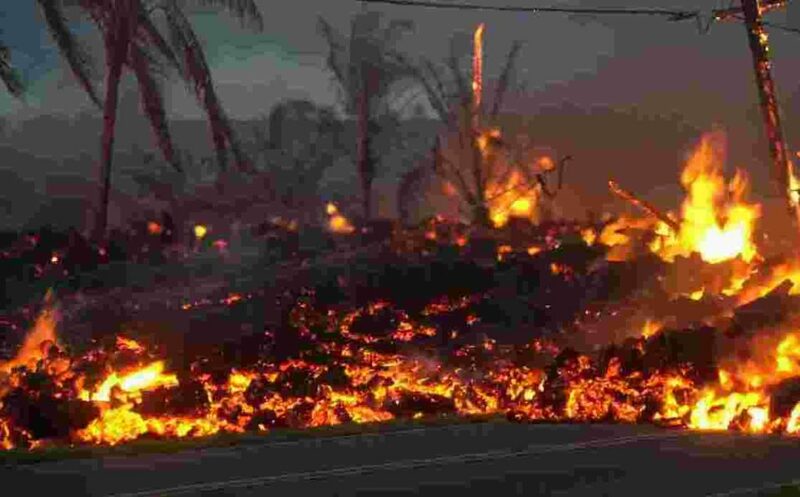 The Hawaii Community Foundation, together with Anderson-Beck Fund, Jack’s Fund and the Darrin & Darien Gee Family Fund, have established the Hawaii Island Volcano Recovery Fund to assist with recovery efforts in support of Hawaii Island communities affected by the Kilauea volcano eruption. Donations to the Hawaii Island Volcano Recovery Fund can be made online or by mail at Hawaii Community Foundation, 827 Fort Street Mall, Honolulu, HI, 96813. Its going to be a wonderful summer here on Maui. My wife Moanalani will be leaving soon to Rapanui for a cultural exchange program with`Ohana of Halau Nā Hanona Kūlike` O Pi`ilani, while I will be off the waters of Lahaina in my fishing kayak catching mahimahi, drinking beer and jamming with my friends! Yay! For my excellent slack key haumana, we've just added a fun double-slack piece of mine called "Wa'apa". Check it out! 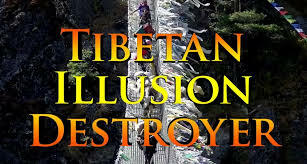 Moanalani and I are headed to Taos, New Mexico to the Taos Environmental Film Festival to receive an award for Dr. Tom Vendetti's wonderful film, "Tibetan Illusion Destroyer". I was privileged to record the music in Kathmandu with some great local musicians. One of my goals in the composition was to honor their native instruments and musical traditions. Moana will open the festival with an oli (chant) and Hawaiian blessing. REGISTRATION FOR ALOHA MUSIC CAMP 2019 WILL OPEN ON MONDAY, APRIL 16TH! 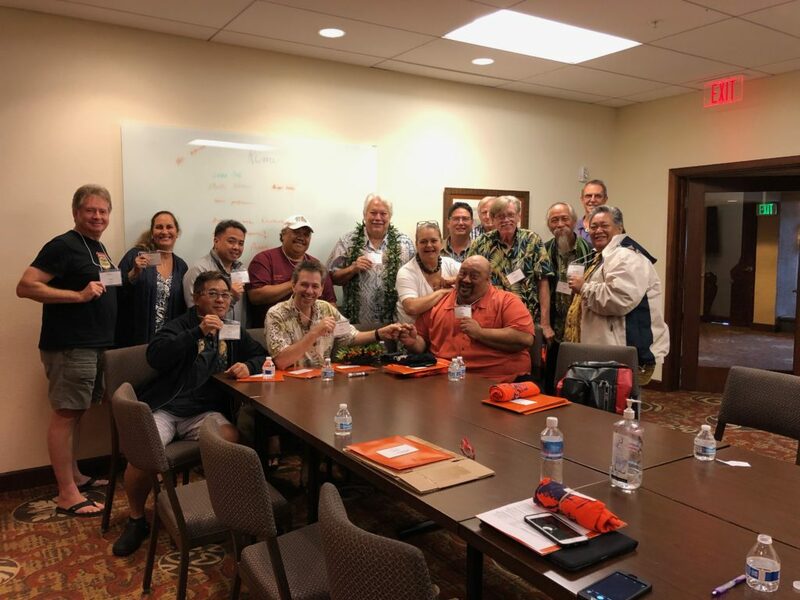 Aloha to our patient and enthusiastic AMCers! 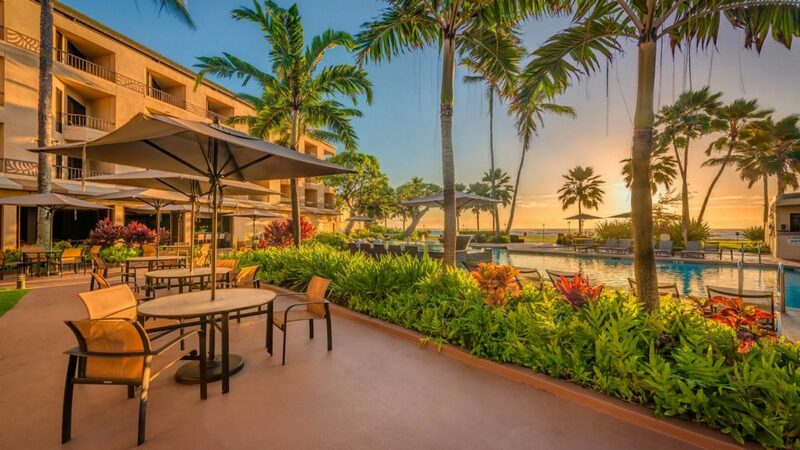 Thank you for your interest in registering for AMC 2019, to be held March 3rd-9th, 2019 at the Courtyard by Marriott Kauai at Coconut Beach. Our online registration system will go live on Monday, April 16th, 2018 starting at 11 AM Hawaii Standard Time (2 PM Pacific Daylight Time/3 PM Mountain Daylight Time/4 PM Central Daylight Time/5 PM Eastern Daylight Time). At 4:01 AM this morning, my awesome brother - Kaliko Beamer Trapp of University Of Hawaii / Hilo completed a major upgrade of kbeamer.com with an improved UI that makes it easier for our friends and members to navigate. Awesome job Kaliko! I’m so proud of my my brother aka "The Midnight Menehune” and our 'ohana! 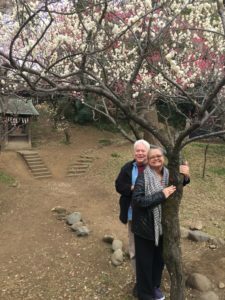 My wife Moanalani and I have just returned from a tour in Japan. What a great time we had! Working with professional presenters and wonderful performing facilities, its a blast to perform in Japan. I note that I am also a big fan of Japanese cuisine and sake! 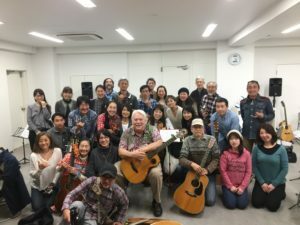 Slack Key Guitar is quickly growing in popularity and I had the opportunity to conduct a workshop with Japanese guitarists. I taught my piece, “Kalapaki” and haumana (students) learned it so well that they performed it the following night in concert. Their performance was lead by Makalani who is one of my absolute favorite Japanese Slack Key Artists in Japan. View their performance at Keola's Workshop Haumana In Japan. Music truly bring people and cultures together. I am so very grateful for the journey of music in my life. I had a wonderful week with our haumana at Aloha Music Camp 2018. 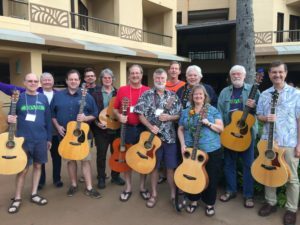 It was a week of music, laughter, great food, fun and lots of aloha! The students in both my intermediate and advanced classes worked hard and both classes played great at our final performance night (Ho’ike). Speaking for all our kumu, we are so blessed to have wonderful participants. 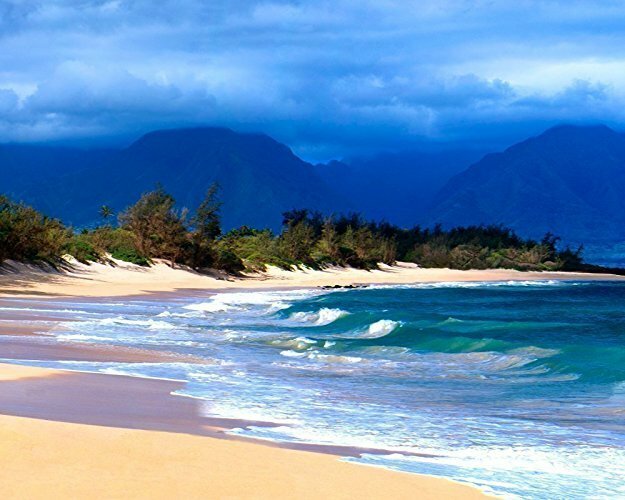 We are currently finalizing the details of our upcoming March 2019 Camp at the Coconut Beach Marriott on Kauaʻi. We will notify all previous Campers via email before the registration form goes online. If you wish to add yourself to our mailing list, please send us a request via our Contact Us form. We will be sure to add you in! Please note that AMC sells out quickly! 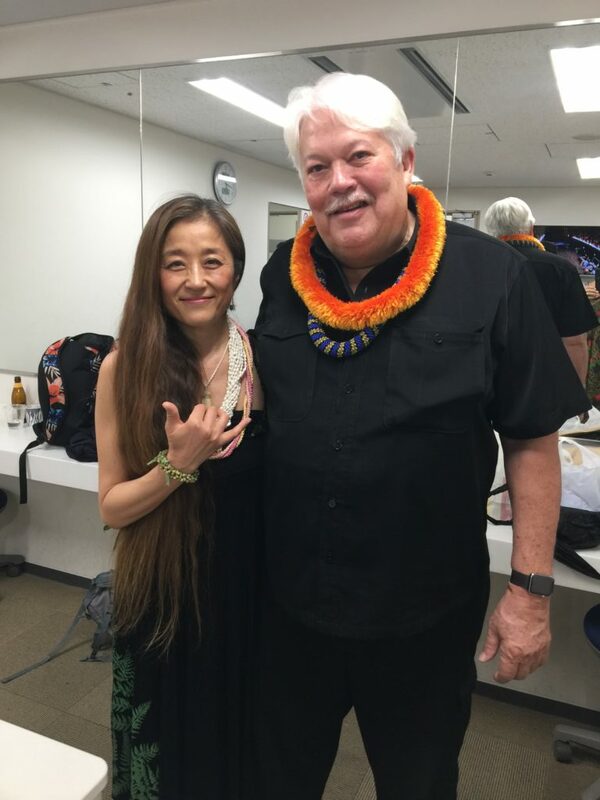 Iʻve had a great time on tour with Henry Kapono and Moanalani. Weʻve had wonderful audiences and almost every date has been sold out. 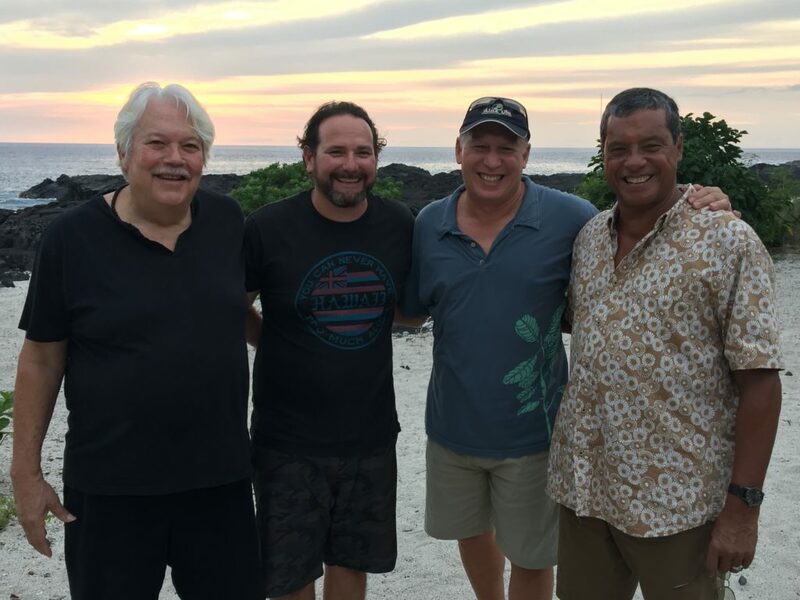 Along the way weʻve had two tour managers, Craig Law & Ben Crew, who have done a superb job, and dear Haumea Ho, who has been expertly handling the Merchandise. 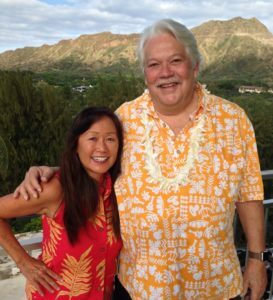 Moana and I extend our sincere mahalo to Henry and Lezlee and their keiki. Its been ʻohana on the road and we are blessed. 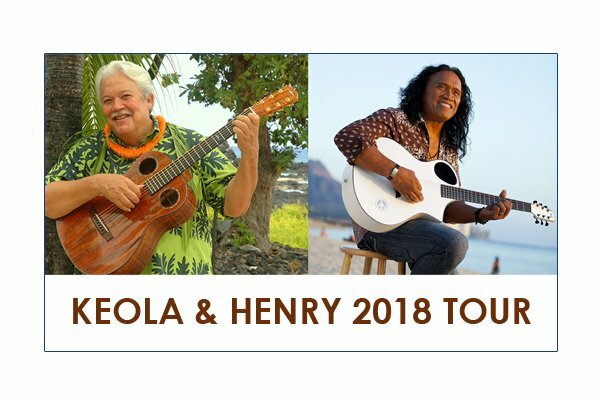 We conclude the tour tomorrow night Feb 1, 2018 at The Broad Stage in Santa Monica, then we leave the next morning for my Aloha Music Camp on Kauaʻi. Its going to be a great week and I canʻt wait to see our kumu and many friends from around the world. We have kicked off the "Legends" tour in the US Mainland. Please visit the tour page for more information and to purchase tickets for the venues. We look forward to seeing you there! Recently, I participated in an interview with Heidi Chang of NPR (National Public Radio) discussing Gabby Pahinui, considered by many to be the “Father” of The Hawaiian Slack Key Guitar. Talking story with Heidi bought back some wonderful memories of the times Gabby and I were drinking beer and playing music in Waikiki, way back in the day! NPR aired the interview on Jan 1, 2018. 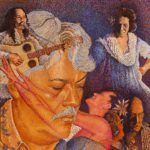 Check out “Remembering A Legendary Hawaiian Musician”.